A Toad’s House Or Did We Buy Some Bad Real Estate? This is a toad house. Have you ever heard of such a thing? Neither had we until someone commented on Acorns On Glen that I should buy this guy a house. 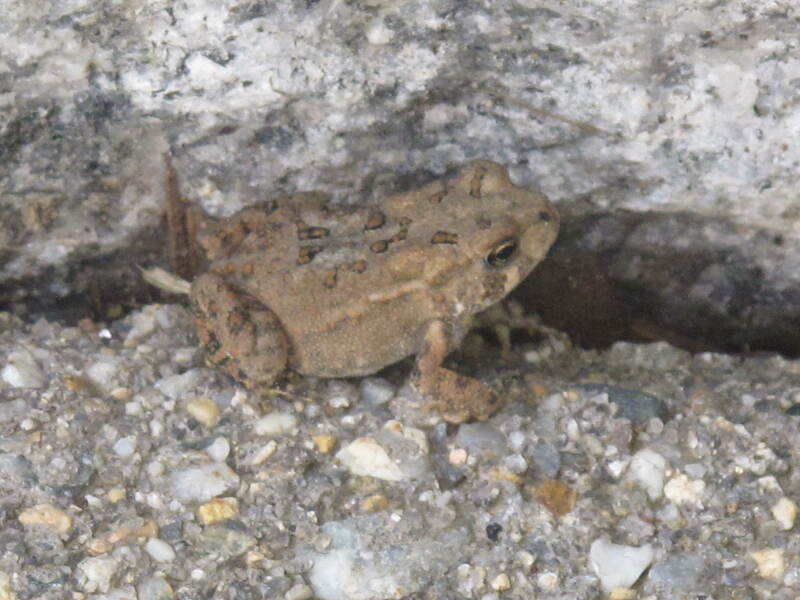 Remember our little half-inch toad friend? So we are told that these little guys like a house built for them that they can live under and not worry about predators likes snakes to eat them up during the night. We guess we understand…who wouldn’t like a house built for them when they are born or when they get married? Even more, would you like to get eaten during the night by a snake? The little ceramic houses also protect them from the elements….sun, rain, etc. So if all thing go according to plan, we should have a toad or two living in the two apartments that we constructed in a very short amount of time….one in the back yard and one in the front yard. This is what we hope our happy toad family looks like in their new home. 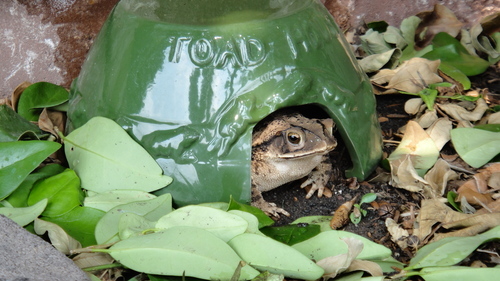 Think ‘Extreme Makeover, Home Edition’ for toads. Let us know….good idea or a huge rip-off? Each house cost $13…not a huge investment and if it is successful, how great would it be to see where our toads live and be able to point it out to all of our city friends. If it doesn’t work, can’t you buy plastic toads at the garden supply store and try to trick all your friends into believing they are real? We’ll keep you posted on how they are received by the toad community. I’m off to buy an ab cruncher and a few knives off the television. Aren’t they guaranteed for success as well….just like the toad houses? 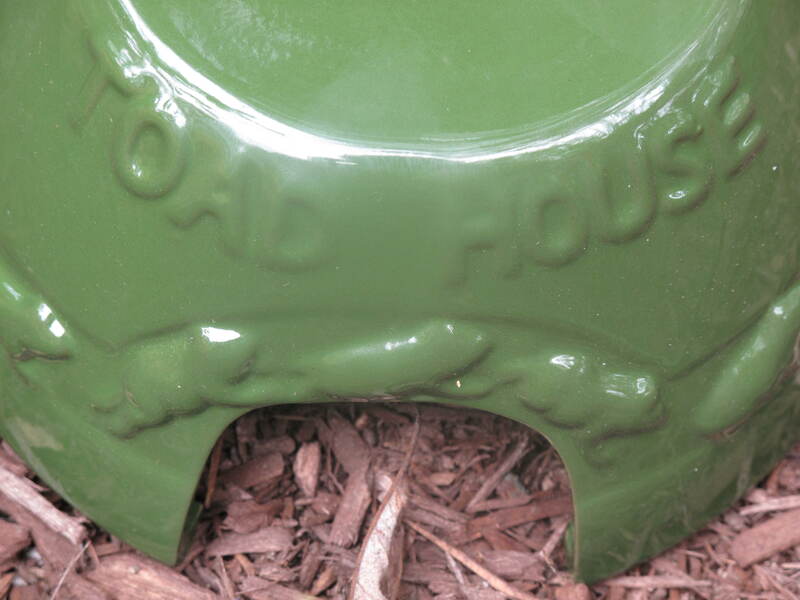 What do you think….will toads move in or will we have a vacancy all the rest of the Summer? This entry was posted in Nature, Wildlife and tagged Acorns, Beauty, Blog, Fun, Gardening, Humor, Life, Lifestyle, Love, My Life, Nature, Photos, Summer, Thoughts. Bookmark the permalink. 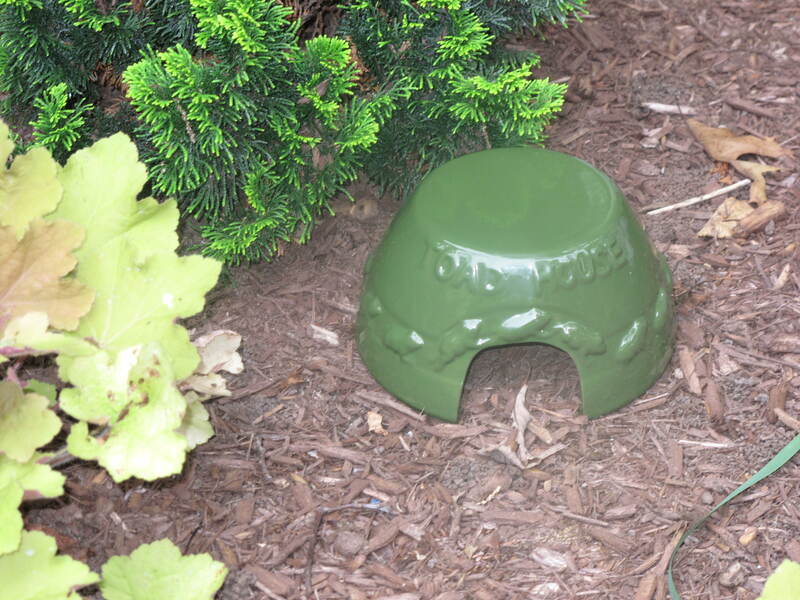 At minimum a very cute idea to have a toad house. I hope you at least have a few renters this season to enjoy. Hi Dianna. Do you think I could get $100 a month for each renter? Ha, ha, this is great. But I feel like JoJo may have lost a friend! Hi. JoJo already investigates each toad house when she goes outside. If a toad moves in, that will put her over the top. I think most of the really fun toads are in the Hamptons or Martha’s Vineyard. You may have to wait until after Labor Day to get any toads you’d want as permanent guests. Hi Kathy D. I’ll have to hire a toad property manager to sign up a short-term rental and then go more longer term when the fun toads come back from their summer homes. Good point. I think something will live in them! Hi Watching Seasons. I hope so. I will keep everyone posted if someone moves in or not. Thanks for visiting and come back again soon. I’ve never seen a toad in our garden. Either they are boycotting our gardens because we don’t give them housing or snakes are out and about at night. I hope they do move in. Ugly little creatures but for some reason I like them. I definitely hope they do not get eaten by a snake. Hi Carolkin. We’ll keep everyone posted on whether or not we get tenants or not. Let’s hope a toad or two take interest.